RMAE enjoys a wide array of afterschool and club enrichment activities here on campus. Many of these activities have rolling admissions. Please scroll down this page to see a full listing of opportunities and registration information. We have partnered with Mountain Youth Musicals to provide musical theater opportunities for both our elementary and middle school students. 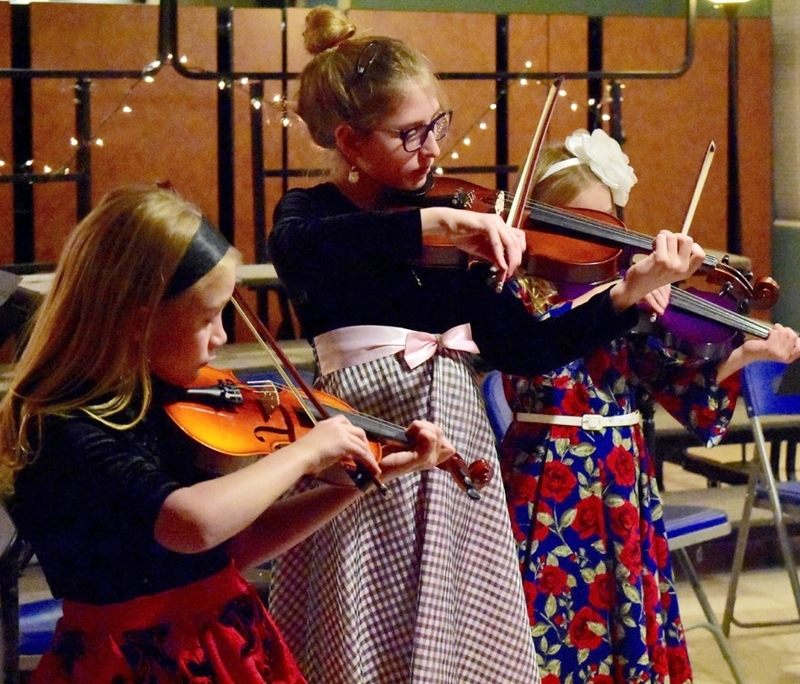 Our music instructor, Gretchen Moritz, leads these efforts which culminate in a full musical production with professional costuming, and sets, performed at Evergreen’s Center Stage Theater. Auditions and rehearsals take place at RMAE afterschool. We are thrilled to have an RMAE Ski Club this year! Professional ski instructor and RMAE parent, Olga Marinkina, has generously offered to lead the group and to give complementary lessons to beginners. Students may participate in lessons or ski at their leisure. Bus transportation is available to the first 13 students who sign up for it. All others will need to carpool. Participants will leave directly after school from RMAE, will ski from 4-6pm at Echo Mountain, and will return to RMAE by 6:30 pm. After School Sports - Our student body is extremely active in competitive team sports. Although RMAE does not currently sponsor its own teams, there are community leagues for just about every sport, and RMAE students are able to request being placed on RMAE teams within many of the leagues. We have a turf field that we have made available for use by community leagues, and we are excited about how our new field is expanding options for us as a school and for our students.